Fourteen year old Zoe Kabuye, aka MC Loy, rhymes about sexual abuse, access to education, and children's rights, and her skills have even led her to rap for Ugandan president Yoweri Museveni. Defilement…I can’t imagine how heavy the case! 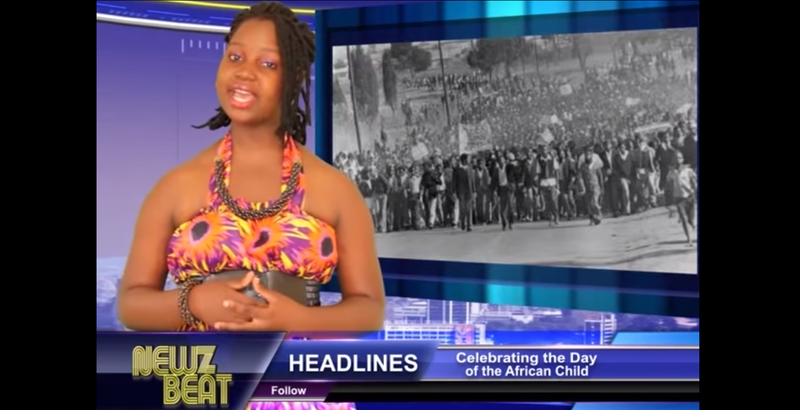 Kabuye made her television debut last year on a popular Ugandan show, NewzBeat, on which the news is delivered via rap. She was recruited by 28-year-old rapper Sharon Bwogi, who is known as Lady Slyke and it one of the most popular female rappers in the county. Bwogi, whose music focuses heavily on human rights, acts as a mentor to Kabuye. Check her and Lady Slyke out on NewzBeat below!